The government must use its powers to break a deadlock in making a life-extending drug available to people with cystic fibrosis, campaigners say. Vertex, which makes Orkambi, has refused a £500m offer for the drug over five years – the “largest commitment” the NHS has ever made. Those affected want other drug firms to be asked to make a cheaper version. The Department of Health said its approach “remains urging Vertex to accept NHS England’s generous offer”. Vertex said it was “determined to find a solution that allows the NHS to provide patient access to our precision medicines across the UK with budget certainty, and also allows Vertex to continue its research and focus on a cure for CF [cystic fibrosis] and other serious diseases”. It currently charges £100,000 for a year’s treatment with Orkambi. Cystic fibrosis is a life-shortening genetic condition that causes fatal lung damage and affects around 10,400 people in the UK. Only around half of those with the condition live to celebrate their 40th birthday. Christina Walker’s son Luis, eight, was born with it. She told the BBC’s Victoria Derbyshire programme his medical regime takes up to four hours a day. “Every day he takes 22 tablets, three nebulisers, two inhalers, nasal sprays and lots of supplements,” she said. “Those are the good days. “A bad day will see Luis in hospital. 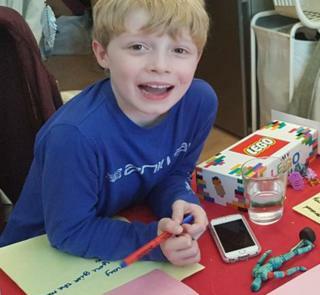 A cough or cold will have turned serious, his lung function will plummet, he’ll be off school for weeks, missing not just classes, but birthdays and time spent with friends – the little things that make being eight years old so much fun. The drug Orkambi is licensed to treat cystic fibrosis in patients from two-year-olds to adults, who have a specific genetic mutation known as F508del. This causes the production of an abnormal protein that disrupts how water and chloride are transported in the body. The drug has been shown in clinical trials to improve lung function and respiratory symptoms in people with cystic fibrosis. It is the first of a string of drugs that have been developed, with newer ones expected to be even more effective. Ms Walker said for Luis it would be “life-changing”. The manufacturers Vertex Pharmaceuticals want the NHS to pay £105,000 per patient per year, and have rejected the NHS’s offer of £500m over five years. Campaigners want the government to set aside Vertex’s patent to allow cheaper versions of Orkambi to be made. This is backed by Conservative MP Bill Wiggin, who will ask the government to invoke Crown Use in an adjournment debate in the House of Commons on Monday – which would allow this to happen. The Department of Health and Social Care said in a statement that “it is absolutely right that patients should have access to cost-effective, innovative medicines on the NHS at a price we can afford. “Despite being offered in the region of £500m over five years – the largest ever commitment of its kind in the 70-year history of the NHS – Vertex has refused to accept, putting Orkambi out of reach of patients. A spokesperson for NHS England said: “We understand how difficult it must be for families affected by cystic fibrosis. Worldand#39;s Easiest Progressive App Maker. Convert Your Website into A Progressive App and Send Instant Push Notification to your customer on their Smart Phones. No App Store Approvals Required. Slap YOUR Branding Onto THIS Powerful CTA Wiz Software and keep 100% of the profits.